মুদ্রা তুমান, আব্বাসি, শাহি. *১ তুমান = ৫০ আব্বাসি *১ তুমান = ৫০ ফরাসি লিভ্রে *১ তুমান = £3 6s 8d. ↑ ক খ গ Rudi Matthee, "Safavids" in Encyclopædia Iranica, accessed on April 4, 2010. "The Persian focus is also reflected in the fact that theological works also began to be composed in the Persian language and in that Persian verses replaced Arabic on the coins." "The political system that emerged under them had overlapping political and religious boundaries and a core language, Persian, which served as the literary tongue, and even began to replace Arabic as the vehicle for theological discourse". ↑ ক খ John R Perry, "Turkic-Iranian contacts", Encyclopædia Iranica, January 24, 2006: "...written Persian, the language of high literature and civil administration, remained virtually unaffected in status and content"
↑ Price, Massoume (২০০৫)। Iran's Diverse Peoples: A Reference Sourcebook। ABC-CLIO। পৃষ্ঠা 66। আইএসবিএন 978-1-57607-993-5। The Shah was a native Turkic speaker and wrote poetry in the Azerbaijani language. M.I. Marcinkowski (tr. ),Persian Historiography and Geography: Bertold Spuler on Major Works Produced in Iran, the Caucasus, Central Asia, India and Early Ottoman Turkey, M. Ismail Marcinkowski, Singapore: Pustaka Nasional, 2003, আইএসবিএন ৯৯৭১-৭৭-৪৮৮-৭. M.I. Marcinkowski (tr., ed. ),Mirza Rafi‘a's Dastur al-Muluk: A Manual of Later Safavid Administration. Annotated English Translation, Comments on the Offices and Services, and Facsimile of the Unique Persian Manuscript, M. Ismail Marcinkowski, Kuala Lumpur, ISTAC, 2002, আইএসবিএন ৯৮৩-৯৩৭৯-২৬-৭. M.I. Marcinkowski,From Isfahan to Ayutthaya: Contacts between Iran and Siam in the 17th Century, M. Ismail Marcinkowski, Singapore, Pustaka Nasional, 2005, আইএসবিএন ৯৯৭১-৭৭-৪৯১-৭. Hakim Syed Zillur Rahman, "Safavi Ahad Main Ilm Tashreeh Ka Mutala (a book in Urdu on Studies of History of anatomy during Safavid dynasty), Tibbi Academy, Aligarh, India, 1983, 96 pp. 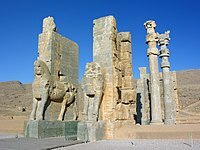 NEWMAN, Andrew J. Safavid Iran - Rebirth of a Persian Empire. New York: I.B. Tauris, 2009.